The Obama administration is trying to push through a settlement over mortgage-servicing breakdowns that could force America’s largest banks to pay for reductions in loan principal worth billions of dollars. Terms of the administration’s proposal include a commitment from mortgage servicers to reduce the loan balances of troubled borrowers who owe more than their homes are worth, people familiar with the matter said. The cost of those writedowns won’t be borne by investors who purchased mortgage-backed securities, these people said. But forging a comprehensive settlement may be difficult. A deal would have to win approval from federal regulators and state attorneys general, as well as some of the nation’s largest mortgage servicers, including Bank of America Corp., Wells Fargo & Co, and J.P. Morgan Chase & Co. Those banks declined to comment. A settlement could help lift a cloud of uncertainty that has stalled the foreclosure process since last fall. Economists have warned that foreclosures need to proceed for the housing market to continue on a path to recovery. It’s unclear how many borrowers would benefit from a deal. Servicers have thus far had difficulty managing the volume of troubled loans. So far, most loan modifications have focused on shrinking monthly payments by lowering interest rates and extending loan terms. Banks, as well as mortgage giants Fannie Mae and Freddie Mac, have been shy to embrace principal reductions, in part due to concerns that many borrowers who can afford their loans will stop paying in the hope of being rewarded with a smaller loan. But some economists warn that rising numbers of underwater borrowers will drag on housing markets and the economy for years unless more is done to help them. The settlement terms remain fluid, people familiar with the matter cautioned, and haven’t been presented to banks. Exact dollar amounts haven’t been agreed on by U.S. regulators and state attorneys general. Regulators are looking at up to 14 servicers that could be a party to the settlement. Bloomberg News A deal would have to win approval from some of the nation’s largest mortgage servicers, including Bank of America Corp., Wells Fargo & Co, and J.P. Morgan Chase & Co.
Several federal agencies have been scrutinizing the nation’s largest banks over breakdowns in foreclosure procedures that erupted last fall. Last week, the Office of the Comptroller of the Currency said only a small number of borrowers had been improperly foreclosed upon. But the regulator raised concerns over inadequate staffing and weak controls over certain foreclosure processes. A settlement must satisfy an unwieldy mix of authorities, including state attorneys general and regulators such as the newly formed Bureau of Consumer Financial Protection, who support heftier fines. 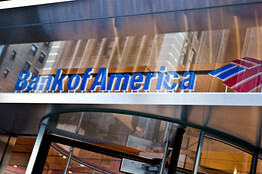 They must also appease banking regulators, such as the OCC, that are concerned penalties could be too stiff. “Nothing has been finalized among the states, and it’s our understanding that the federal agencies we are in discussions with have not finalized their positions,” said a spokesman for Iowa Attorney General Tom Miller, who is spearheading a 50-state investigation of mortgage-servicing practices. Last autumn, units of the nation’s largest banks were forced to suspend foreclosures amid allegations that bank employees routinely signed off on foreclosure documents without personally reviewing case details. In subsequent examinations, federal bank regulators said they found deficiencies and shortcomings in document procedures and other violations of state law. At issue now is a debate over who has been harmed by improper foreclosure practices, and how much. The OCC’s examination concluded only a “small number” of borrowers were improperly foreclosed upon, and banks have argued that any settlement should reflect that fact. Other federal agencies and state officials say banks exacerbated the woes of troubled borrowers by resisting the necessary investments in staff and technology to provide timely, effective help. Under the administration’s proposed settlement, banks would have to bear the cost of all writedowns rather than passing them on to other investors. The settlement proposal focuses on pushing servicers who mishandled foreclosure procedures to eat losses, by writing down loans that they service on behalf of clients. Those clients include mortgage-finance giants Fannie Mae and Freddie Mac, as well as investors in loans that were securitized by Wall Street firms. Bank executives say principal cuts don’t necessarily improve payment patterns, and have told other parties involved in the talks that principal reductions could raise new complications. First, it will be difficult to determine who gets reductions and who doesn’t. And even if banks agree to a $20 billion penalty, the number of mortgages that can be cured with that number is limited, one of these people said. If a single settlement can’t be reached, different federal agencies could seek smaller penalties through regular enforcement channels, and banks could face the prospect of separate civil actions from state attorneys general. Any settlement could be one of the largest to hit the mortgage industry. 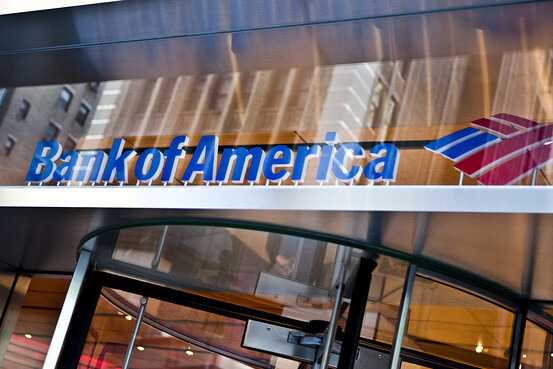 In 2008, Bank of America agreed to a settlement valued at more than $8.6 billion related to alleged predatory lending practices by Countrywide Finance Corp., which it acquired that year. —Robin Sidel contributed to this article.